Get to know our new Worship Pastor! 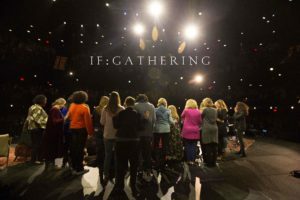 Join us on March 1 & 2 for IF:Gathering at ClearView Community Church! We will begin on Friday, March 1 from 6-9 pm. Please bring a snack to share! We will then meet up again on March 2 from 8am – 2pm. A free lunch will be provided on Saturday! Childcare is available upon request. Sign up at the Info Center or follow this link to sign up online.